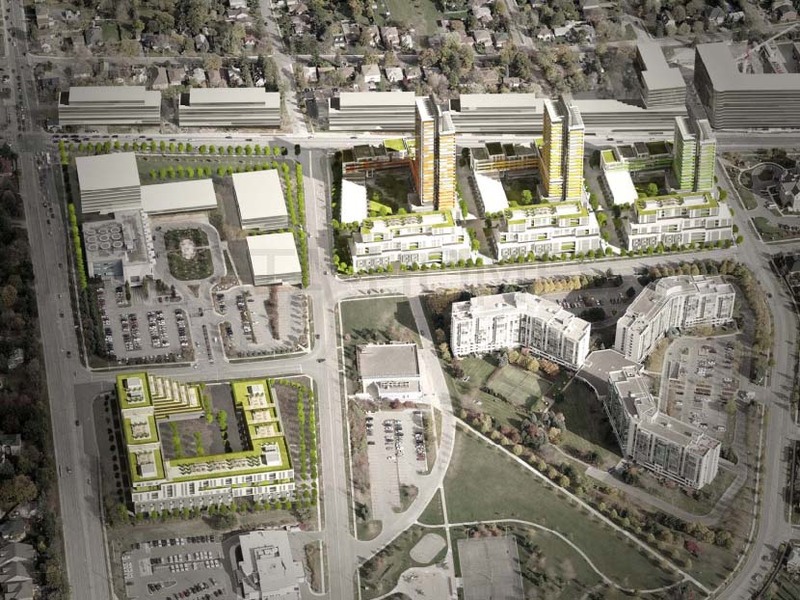 Baif Don Head is a master-planned mixed-use residential & commercial development located by Yonge Street and Major Mackenzie Drive West in Richmond Hill, Ontario by Baif Developments Limited and designed by Hariri Pontarini Architects. 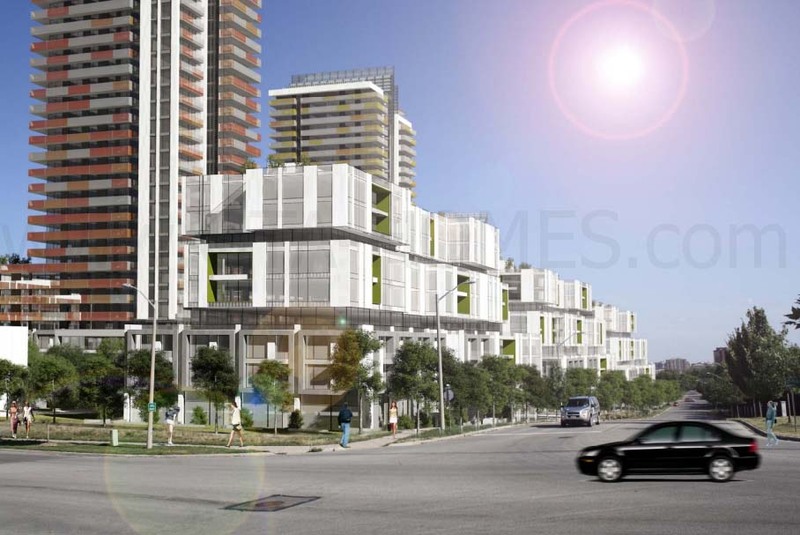 This development site consists of four blocks with townhouses and buildings of 9 to 31 storeys in height with approximately 1,981 residential units, retail, commercial and office uses. The Baif Don Head master-planned community will consist of four blocks with buildings up to a maximum height of 31 storeys. The proposal includes three residential towers of 20, 28 and 31 storeys and three additional towers with a maximum height of 10 storeys each with a total of 1,560 residential units and 5,292 square metres to "contain proposed uses such as apartment residential units, live-work residential units, townhouse units, retail, service commercial and office uses" in the (Yonge Street Block). The northwestern edge of the development (Major Mackenzie Block) will house the mid-rise buildings with sculpted terraces with a maximum height of 9 storeys and about 421 units including townhomes. The three southern blocks contain townhouses lining the side streets, a high-rise residential tower set back from Yonge and retail units. "The new retail component along Yonge reflects the scale of the existing small stores to maintain the street's character." 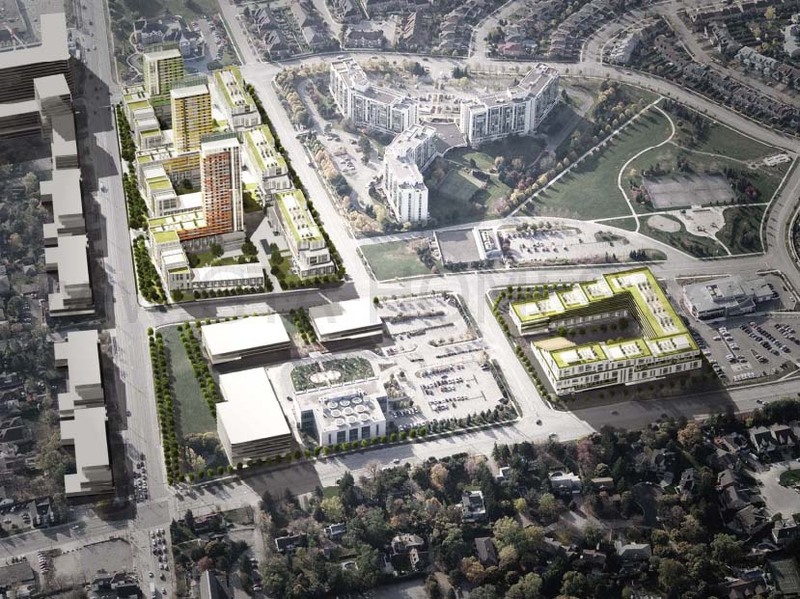 There is a public square proposed at the southwest corner of Yonge Street and Major Mackenzie Drive. 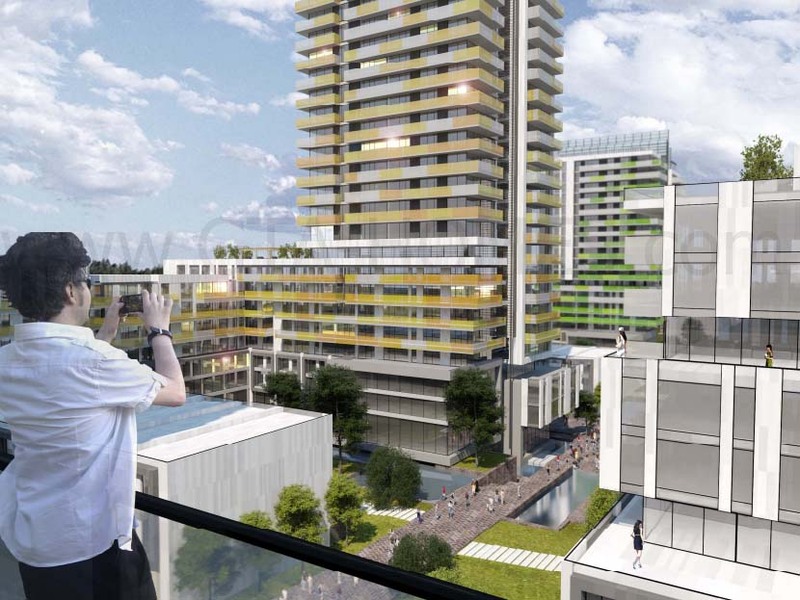 "Public, semi-public, and private open spaces, interlinked with landscaped pedestrian corridors, will allow passage to and through this development, conceived as a densifying urban asset to surrounding residential neighbourhoods." The block directly located on the southwest corner of Yonge and Major Mackenzie is currently being occupied by the Richmond Hill Public Library; however, the design shows that the town hall will be relocated to this intersection in the future. 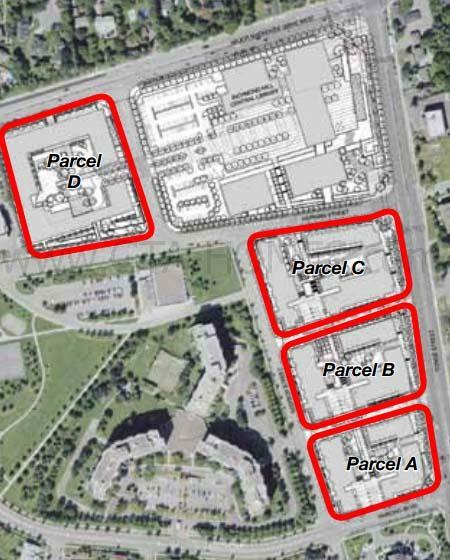 Parcel A will have a proposed 20 storeys with 19 townhomes and 396 condo units with a total of 415 residential units. 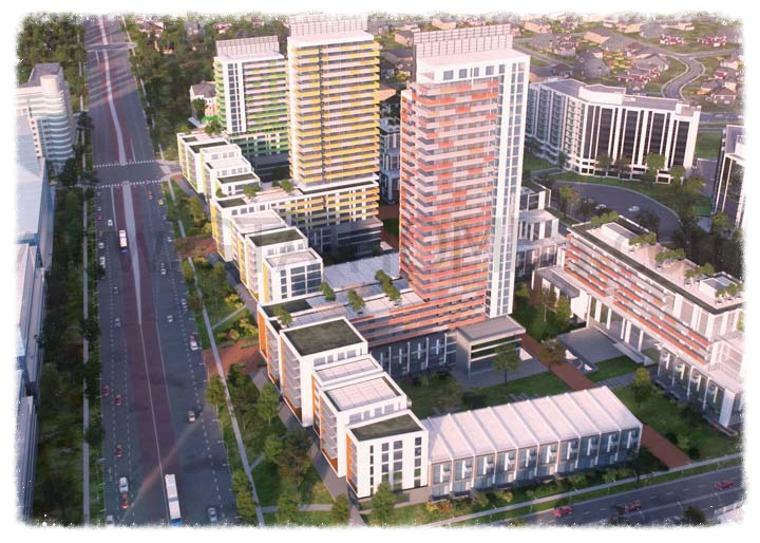 Parcel B will have a proposed 28 storeys with 26 townhomes and 488 condo units with a total of 514 residential units. 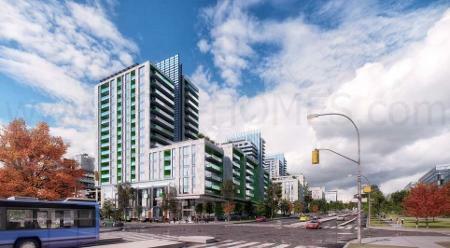 Parcel C will have a proposed 31 storeys with 31 townhomes and 600 condos units with a total of 631 residential units. 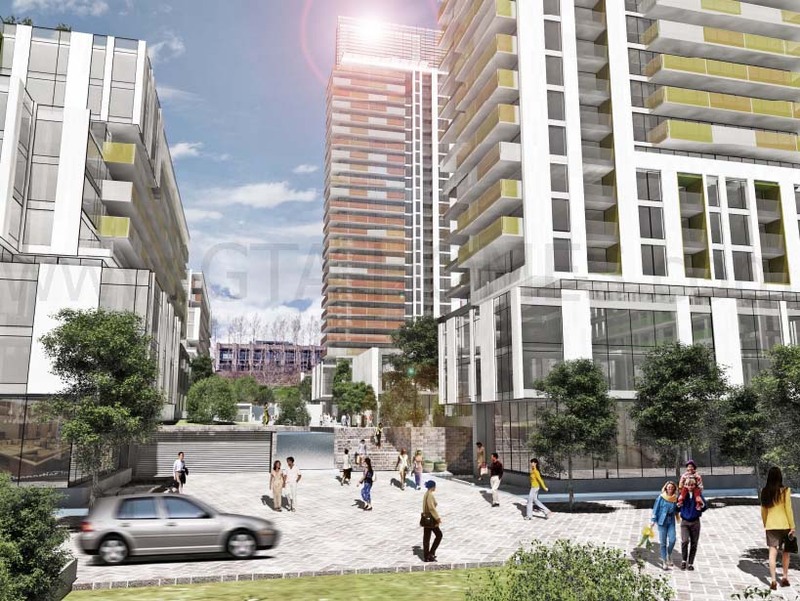 Parcel D will have a proposed 9 storeys with 32 townhomes and 389 condo units with a total of 421 residential units. Therefore, total residential units for all four parcels will be 1,981 of which 1,380 will be 1-bedrooms units and 493 will be 2-bedrooms units. There are a total of 2729 proposed parking spaces, 100,506 square feet of total outdoor amenity space proposed and 51,916 square feet of total indoor amenity space proposed. 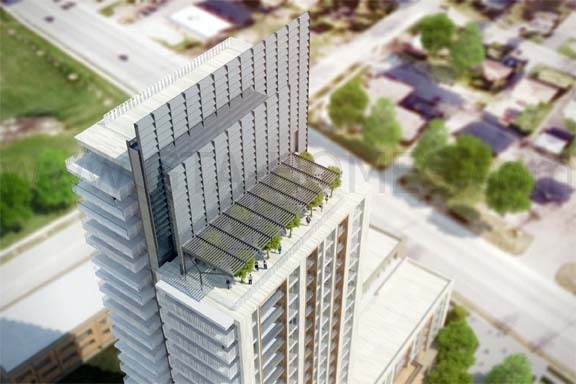 A new revised development proposal for the (Yonge Street Block) now has the towers reduced from 20, 28 and 31 storeys to 18, 20 and 22 storeys. The 3-storey townhouses fronting Hopkins Street has been replaced with a 6 storey extension of the building podium. 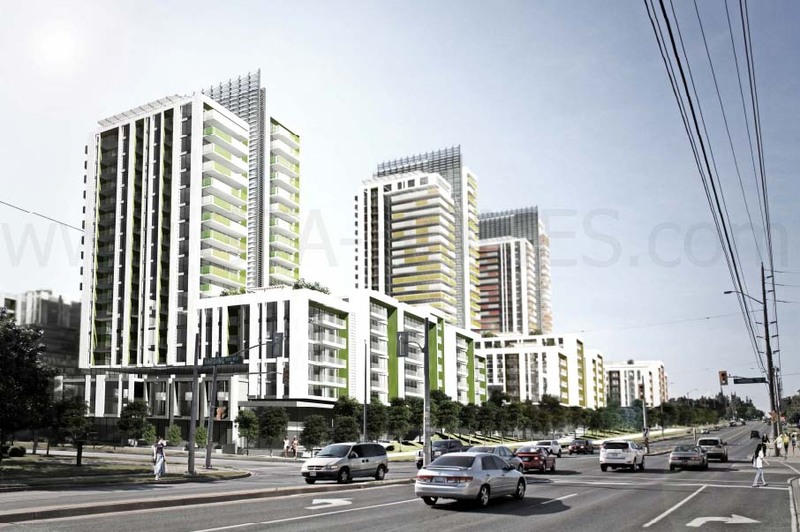 The residential units have been reduced from 1,560 to 1,435 with a total gross floor area of 137,175 square metres. There will be a total of 6 towers - 10, 10, 10, 18, 20 and 22 storeys. A new revised proposal for the (Major Mackenzie Block) now has a height of 15 storeys instead of 9 and residential units increased from 421 to 568 units with a total gross floor area of 55,671 square metres. 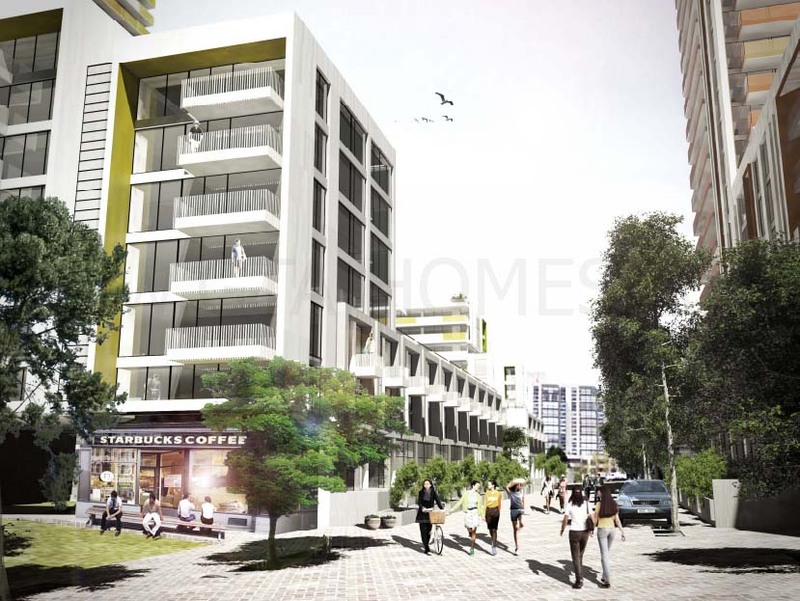 There will also be another building of 10 storeys in height proposed. Total units in the new proposal for both blocks is 2,003 of which 103 are townhouses. 1,419 will be one-bedroom units and 481 will be two-bedroom units. Total parking spaces proposed is 2,728 of which 2,249 is in the Yonge Street Block and 479 in the Major Mackenzie Block. Baif Developments Limited was the original developer as well as the major builder of the Don Head subdivision which comprised of 109 hectares and included an entire concession lot south of Major Mackenzie Drive West, between Yonge Street and Bathurst Street in Richmond Hill. They were responsible for several large projects in this area in the 1970's including a large community of dwellings comprising of a mix of single detached, semi-detached, townhouse and apartment/condominium dwellings and the Hillcrest Mall. The two Baif blocks in this development proposal are the last remaining lands of the Don Head subdivision to be developed. 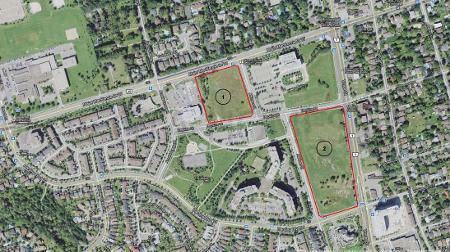 In 2010 Baif Developments Ltd. and M&R Holdings were the developers of a new retail development in Markham and had a competition in 2010 "inviting artists to submit proposals for an installation to define the southwest corner of Markham Road and Steeles Avenue". The winning design was a collaboration between Dean Martin at Cundari and Stephen Richards from Streamliner Design Fabrication. A video is attached below for your viewing. Hariri Pontarini Architects is the architectural firm that designed Baif Don Head. They are based in Toronto and was founded in 1994 by Siamak Hariri and David Pontarini who had a common goal which is design quality. It is a "full-service Canadian firm devoted to producing work of lasting value" with about 70 professionals currently employed at their firm. "Every project in their diversely scaled, award-winning portfolio reflects the HPA mission to craft architectural and urban solutions that exceed expectations, without excess." 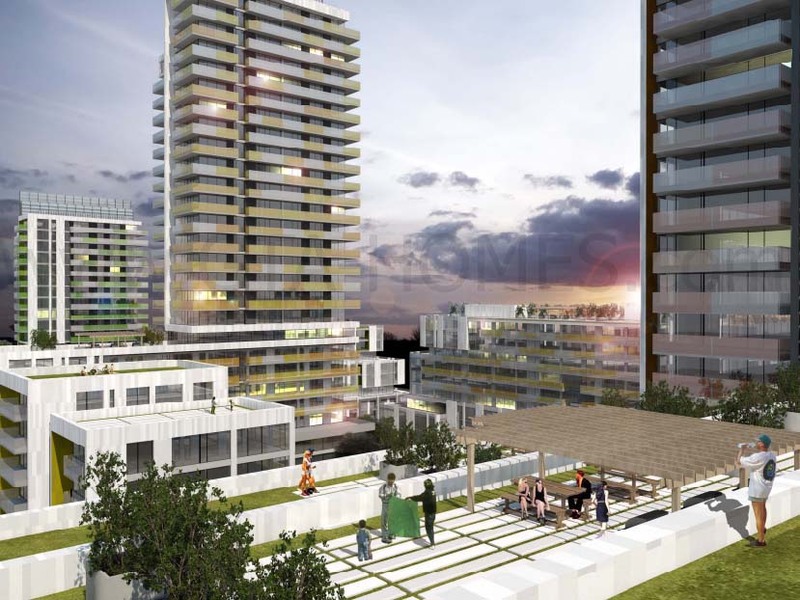 Register with us today for more information on the Baif Don Head Condos by Baif Developments Limited! For more information, please register today for the Baif Don Head Condos Platinum Access Preview Event.